The Baby-Wearing Craze – What You Need To Know! When I had my first baby there were a few popular options for wearing a baby. It seemed like most people chose from a Baby Bjorn or a soft structured carrier of some sort. We went with an Ergo Sport as it was lighter weight and had a taller rise, which appealed to me since I’m tall and suspected I would end up with a tall child (and oh boy was I right). I would on the rare occasion see another mom with a baby in a wrap, but I didn’t know much about them and they seemed very labour intensive and difficult to master. These days however, baby-wearing is as common as stroller use and for good reason. Studies (like this one) have shown that babies that are worn are less likely to cry, which could be a real life saver for a mother with a baby with colic or purple crying for example. It makes perfect sense. Most cultures wear their babies and have since the dawn of civilization. Whether out of necessity (such as working in the fields or having to travel by foot) or practicality (who wouldn’t want to have their hands free and a happy baby?) or simply preference, baby-wearing seems to be coming back into fashion full force. 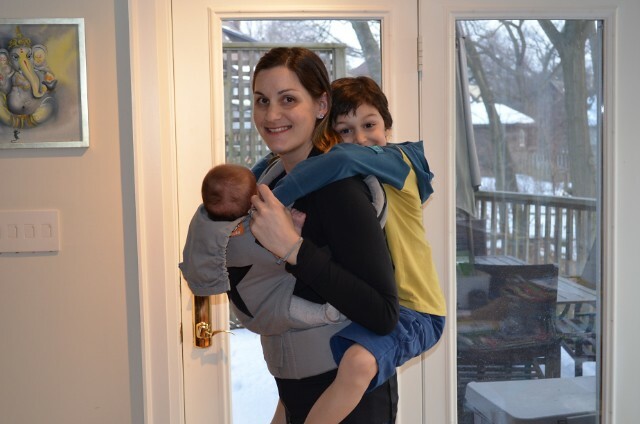 When I found out I was pregnant with baby E I started looking into what carrier or carriers I would need given that I would have much less time and flexibility since I had to tend to the needs of my big kid, too. The options were almost overwhelming. From stretchy wraps to soft structured carriers, it seemed like there were as many carriers as there were cars on the market and it was as difficult picking one as it was to choose a car. What I learned is that picking a carrier really is like picking a car. There are so many options on the market because there is no one perfect carrier. They are really best suited to one’s needs, body type and budget. I spoke to Kat Armstrong, Baby Concierge and baby-wearing hobbyist, and she explained that using a carrier, any carrier, helps with facilitating nursing and reading a baby’s cues as they are so close, plus babies enjoy the motion since they are so used to constant movement from being in the womb. She highly recommends that moms wait until the baby is born before you choose, as some babies are particular about which carriers they are toted around in. 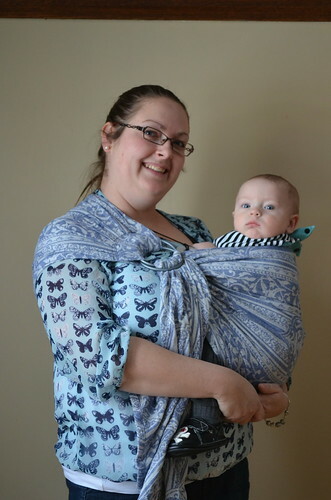 Her favourite for newborns is a ring sling and my personal favourite was the stretchy wrap. If you’re a new mom, find a local baby-wearing group online (Facebook often has many), as they usually have lending libraries where moms can try out different carriers without having to purchase anything and they can get support about fit from experts. Make sure you always purchase your carrier from a fully insured and bonded retailer. Many wraps and slings are now available on craft websites and online, but these may not meet the industry standards and are not safe for use. I would never have thought of this: never wear your baby in a footed sleeper. Doing so can cut off their circulation in their little feet! One of my favourite things about the resurgence of baby-wearing is seeing dads wearing their babies. There is just something extra awesome about seeing a daddy strapping on a baby and heading out for a walk or errands. In talking to baby-wearing fanatic Kristen Fox, I learned that once you start wearing your baby, you get hooked and often own multiple carriers, especially if you are in the 2 under 2 club. She admitted to owning over half a dozen different carriers! Whether for mom or dad, there is a carrier out there for everyone. There are endless resources online about the different ones that are available on the market, but just like the perfect pair of jeans, you really do need to try them on. 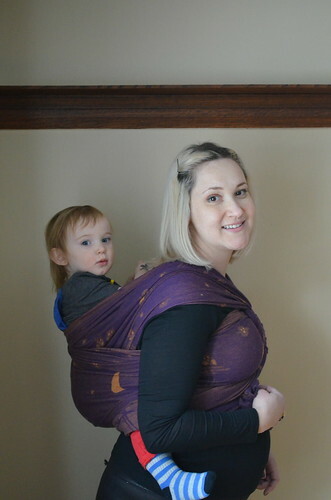 I ended up with a Tula soft structured carrier and a stretch wrap for the early days, but I’m already eyeing a light weight summer carrier. I found comparison charts very helpful trying to figure out the major differences between the various types of carriers and there are many online like this one that can help cut down on research time. Do you have a favourite baby carrier? How was baby-wearing made your life easier? So many great options available these days! With a new grandbaby in the house, we are discovering the joys of baby wearing all over again! Liked the above poster, I love all of the options that are available to families today! Footed sleepers……never looked right in carriers. I always wondered why people did that. It certainly does NOT look comfortable for baby. I have never had a baby carrier that I’ve liked. I’ve had a few wraps, slings, and structured carriers. I don’t want to shell out $200 if it’s not going to work for us. I need a friend to share with for a little to figure out what would be practical for us. Sometimes the options are overwhelming and you need to try them on to make sure they fit your body. I wore my babies nearly 40 yrs ago and it wasn’t too often that I met others wearing their babies. I love the fact that dad’s now also wear their babies even when tiny, earlier it was only when the child got bigger that dad took over. So many creative ways to hold a baby! My only baby carrier many years ago was in my arms. This was very nice for both of us. I always held my baby to feed him/her. I was unable to nurse some of my children because of a Bilirubin factor. 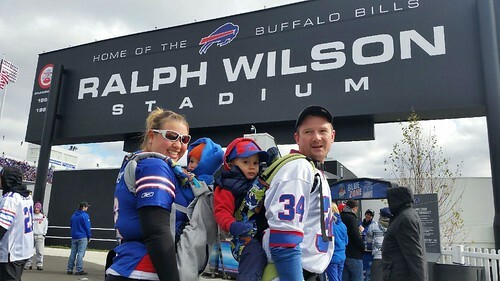 I am very happy to see Baby Carriers and Moms and Dads using them. We seem to be getting to a better (wiser) baby-carrying model. Those are definitely good tips! I never had this but see it often nowadays. Oh wow, I had no idea there was a lending library for baby carriers! I am past the little baby stage, but I have many friends who would benefit from this. Thanks! There are just so many great options available these days!